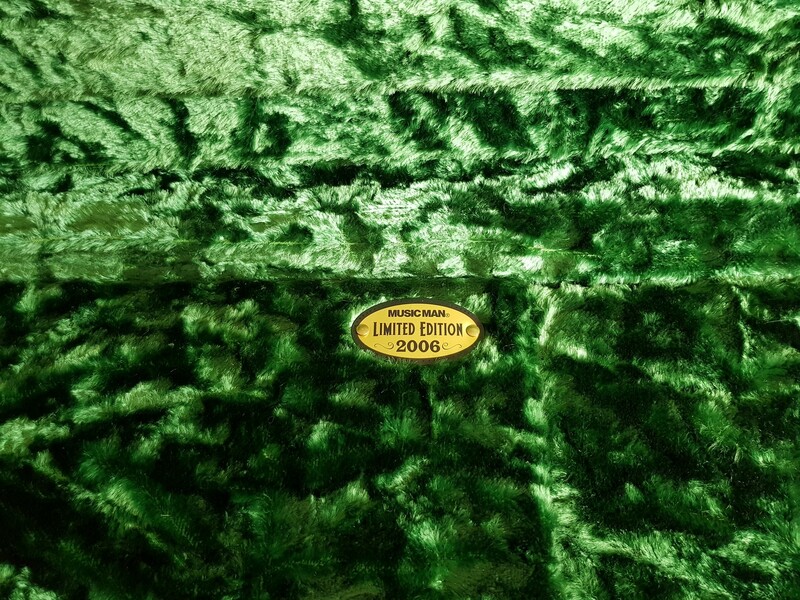 Complete with its special limited edition case with crushed green velvet interior, keys, and polishing cloth. 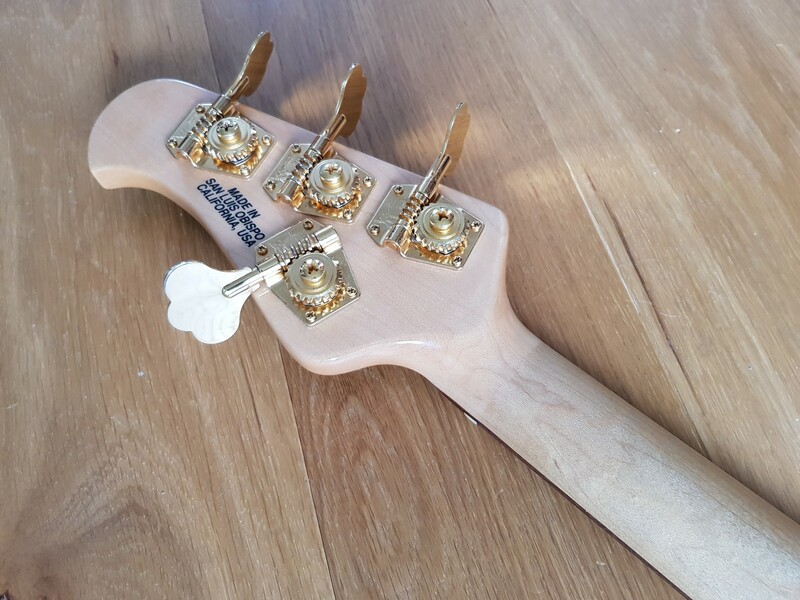 The case also features all gold appointments including the piping – very impressive. 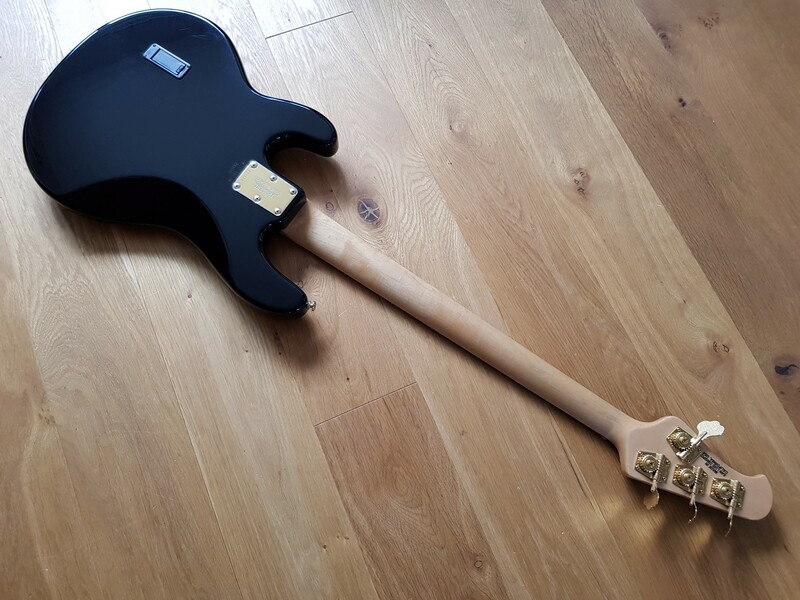 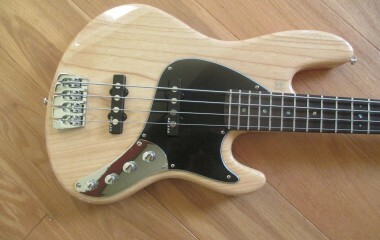 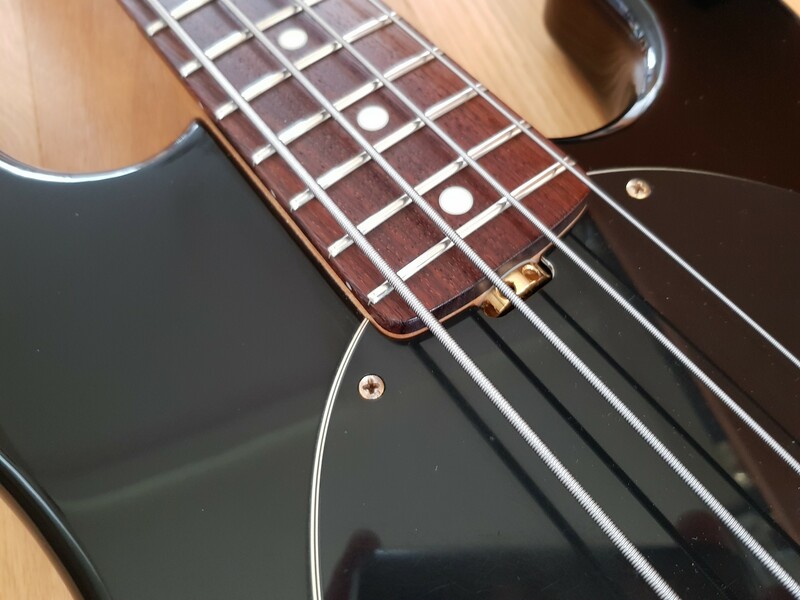 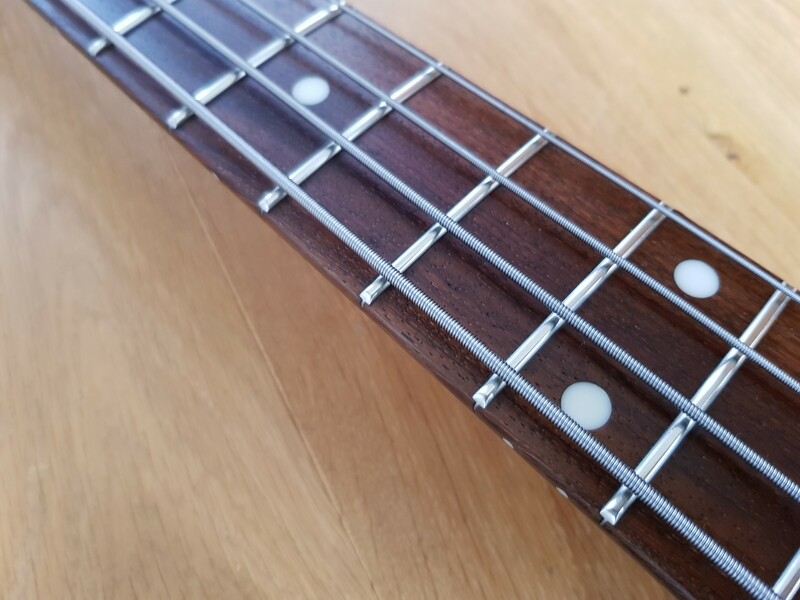 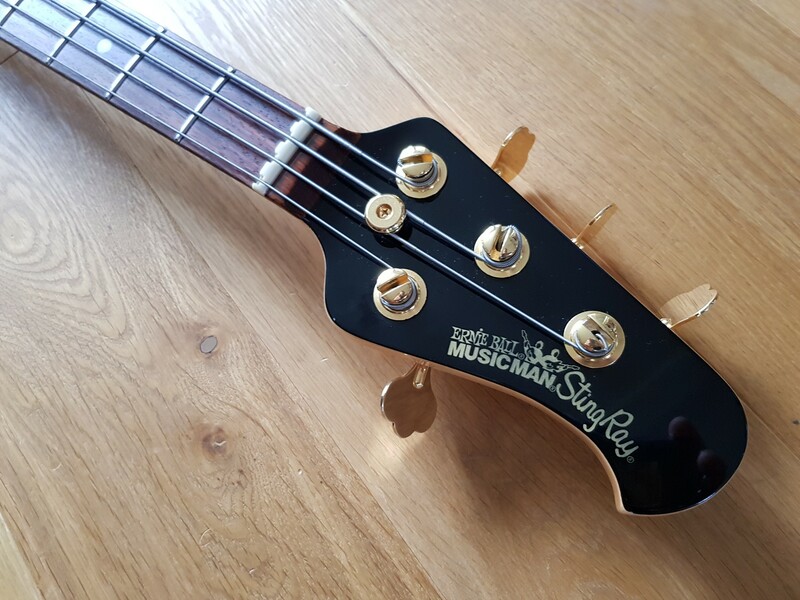 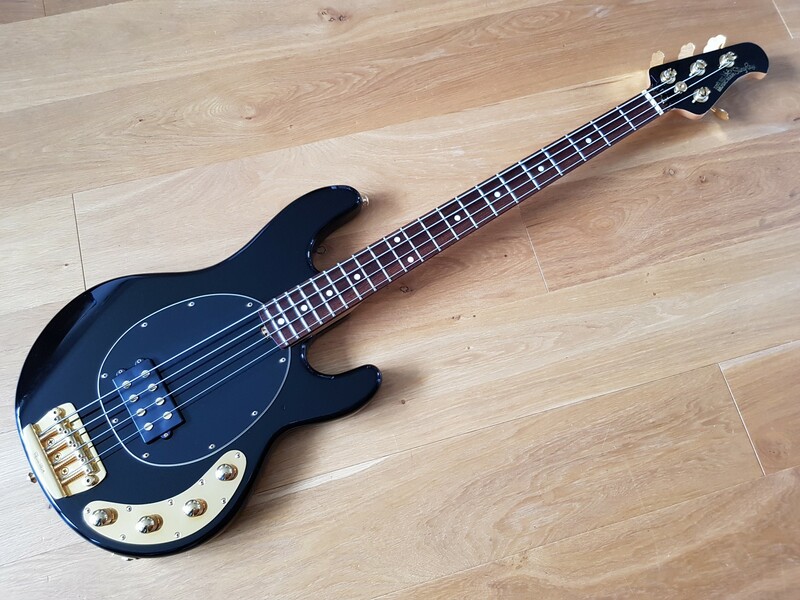 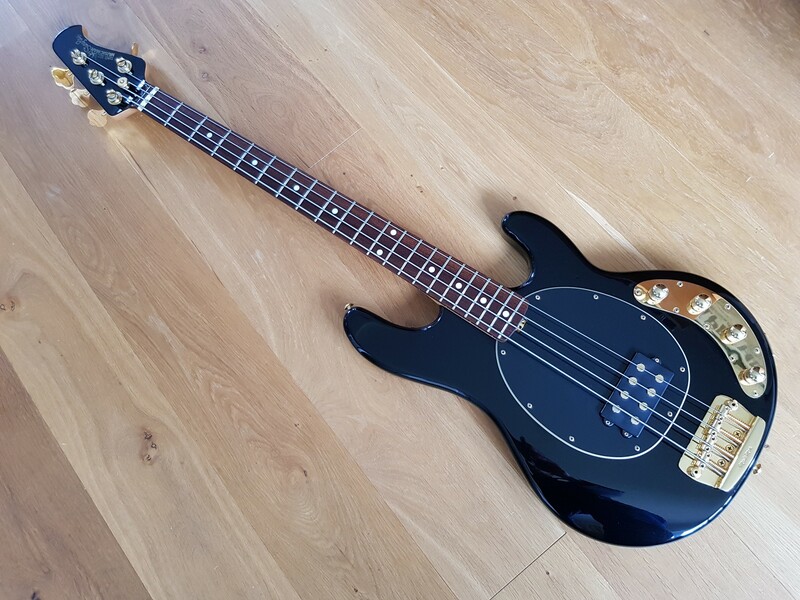 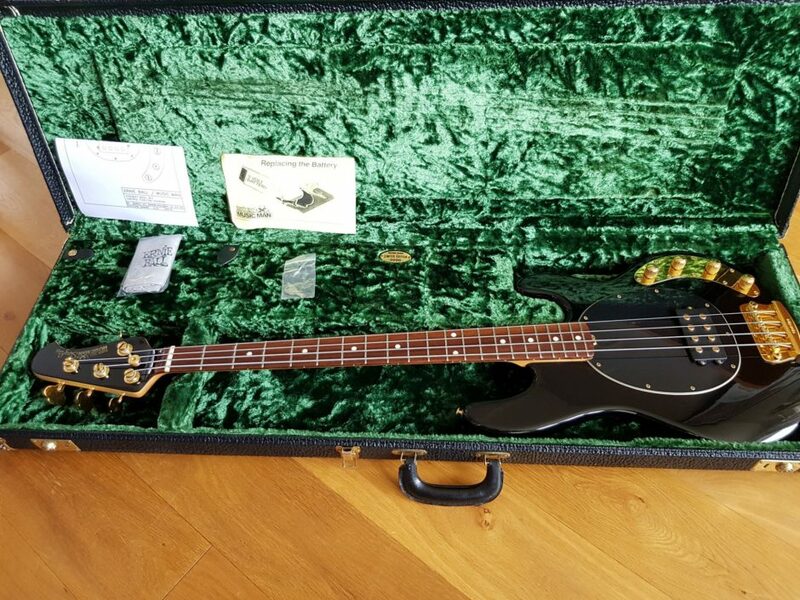 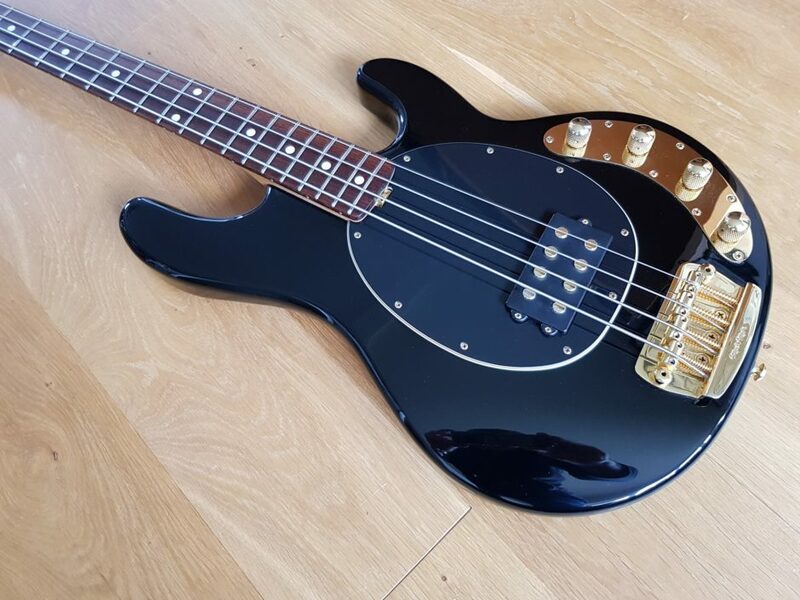 This bass has been lightly used, and there are the usual fine marks here and there, plus a couple of dings on the front (repaired) but overall really good. 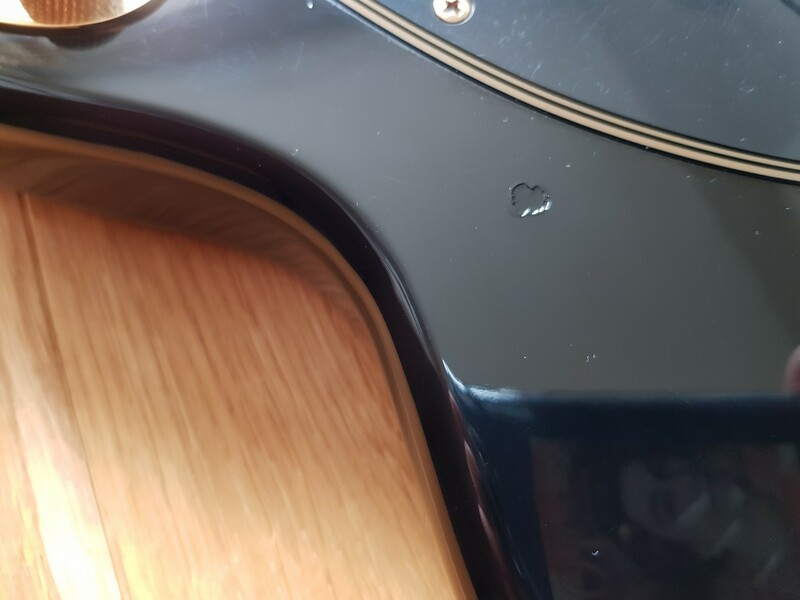 The frets have no noticeable wear at all. 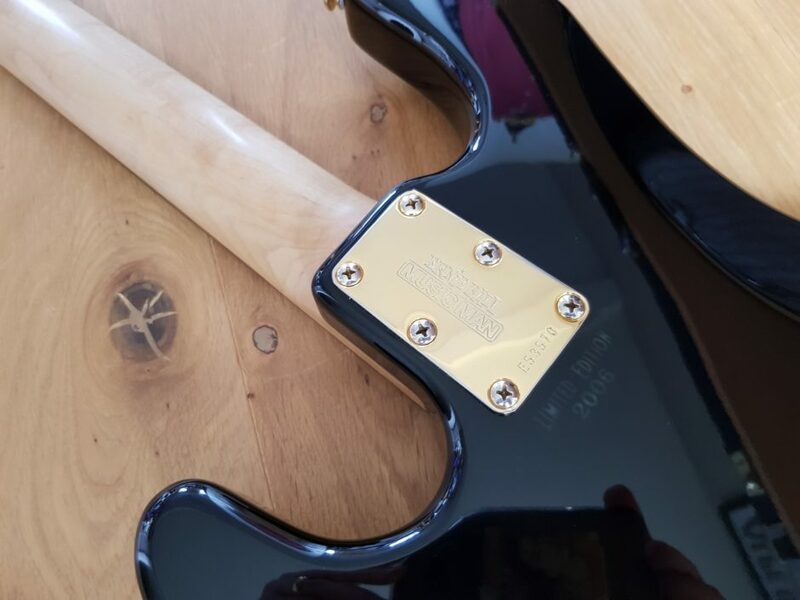 It’s just been serviced and fully set up. 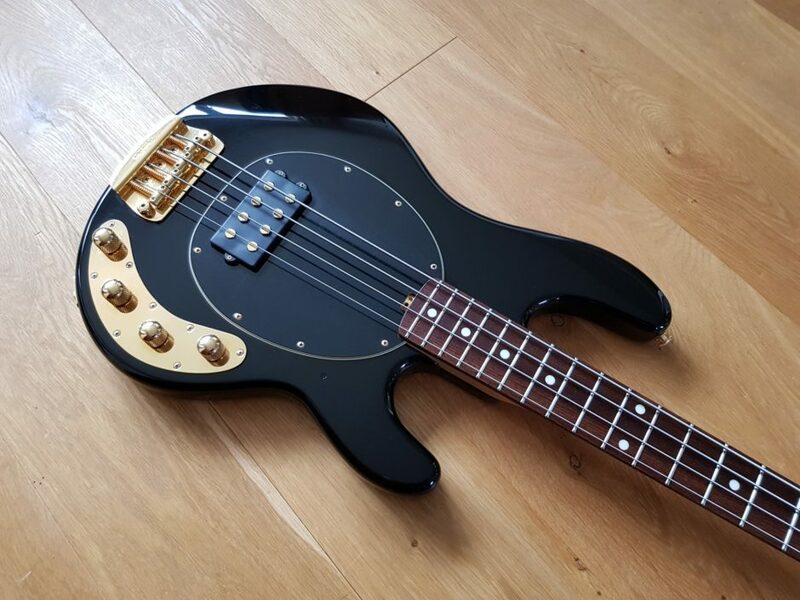 Absolutely superb!